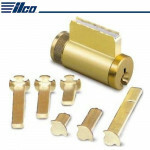 7011TK9-26D ILCO 1 1/8" Thumbturn Rim Cylinder These solid bar brass rim cylinders are ideal for..
IL-OP-18-RH-AL Ilco 1/8” (3.18 mm) Recessed Kawneer® Style Bottom Pivot Sets For Aluminum Doors and ..
7015 SC8 KA2 ILCO Rim Cylinder These solid bar brass rim cylinders are ideal for use on 1 3/8” (..
IL-OP-13-RH-DU Ilco 1/8" Recessed YKK Pivot Set For Aluminum Doors and Frames ILCO Storefront In..
IL-OP-13-LH-DU Ilco 1/8" Recessed YKK Pivot Set For Aluminum Doors and Frames ILCO Storefront In..
IL-OP-18-LH-AL Ilco 1/8” (3.18 mm) Recessed Kawneer® Style Bottom Pivot Sets Left Hand For Aluminum ..
451 Ilco Mortise Deadlatch Lock w/Faceplate for Aluminum Stile Doors Offers flexibility of traffic c..
DPS-US32D Ilco Dust Proof Strike, DPS Series strikes work with the BRL-01 and BRL-03 Glass Doo.. 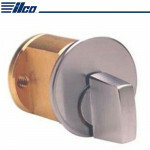 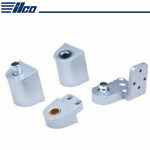 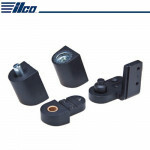 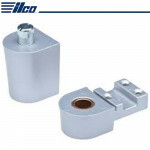 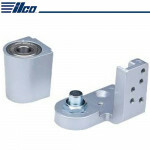 The Ilco 7181 TK1 is a 1-1/8” Thumbturn Mortise Cylinder with Standard cam, collar. 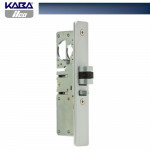 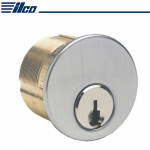 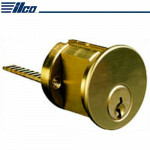 Mortise Cyli..
7185 RB1-KA2 ILCO Mortise Cylinder Cylinder Length: 1 1/8” (28.6 mm) Number of Pins:&n..
459-628 Ilco Push/Pull Paddle Functions as an alternate to knob or lever handles. 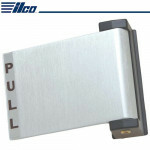 Push or pull in th..
IL-OP-10-LH-18-DU Ilco 1/8" Recessed Arch/Vistawall Pivot Set Left Hand for Aluminum Doors and Frame..
Ilco HDB-4085 Header Bolt provides a top of door, third locking point on the inactive leaf. 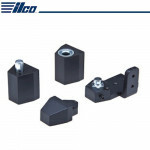 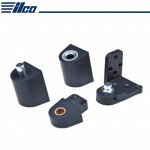 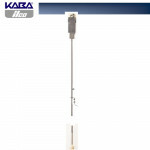 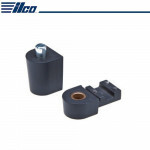 With the..
IL-OP-14-RH-DU Ilco Flush US Aluminum Pivot Set Left Hand For Aluminum Doors and Frames ILCO Sto..
IL-OP-18-AL Ilco Kawneer Top Pivot Set For Aluminum Doors and Frames ILCO Storefront Information..
IL-OP-18-DU Ilco Kawneer Top Pivot Set For Aluminum Doors and Frames ILCO Storefront Information..
15995SC 26D 0B ILCO Key in Knob/Deadbolt Combination Replacement Cylinder, Univeral Knob/Lever Locks.. 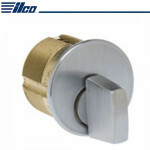 The Ilco 7161 TK2 is a 1” Thumbturn Mortise Cylinder with an Adams Rite cam, collar. 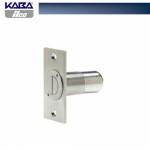 Mortise Cyl..
IL-OP-14-RH-AL Ilco Flush US Aluminum Pivot Set Right Hand For Aluminum Doors and Frames ILCO St..
IL-OP-10-RH-18-DU Ilco Offset Pivots 1/8" Recessed Arch/Vistawall Pivot Set for Aluminum Doors and F..